How Many Spare Tubes Should You Carry? 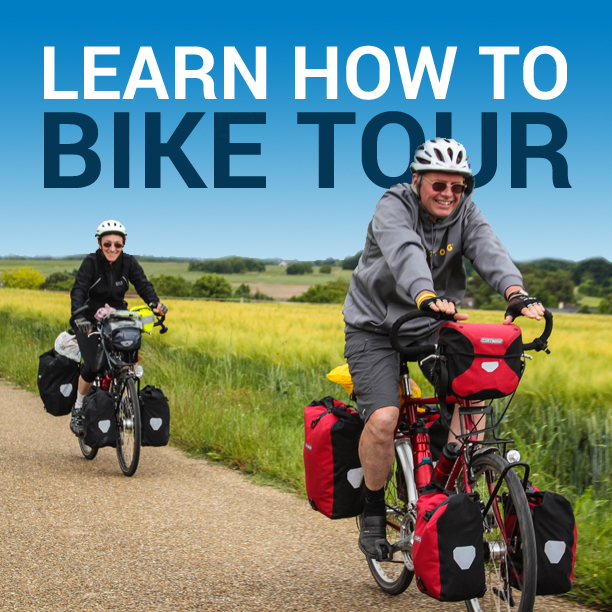 If you’re planning a bicycle tour, you are going to want to make sure you pack some extra tubes. The question is, how many spare tubes should you bring with you? Like many aspects of bicycle touring, the answer to this question depends on a number of different things. On most of my long distance bicycle tours (where I was on the road for a month or more), I was carrying three spare tubes with me at any one time. When I got a flat tire, I didn’t have to bother with trying to patch the flat. Instead, I just pulled out one of my spare tubes, threw it in the tire, pumped it up, and was off and riding in just a few minutes. On some of my shorter tours (a week or less), I’ve carried only two spare tubes with. And when I’m simply taking a spin around town or going out for a day ride, I typically only have one spare tube on my bike. I understand what Nick is saying here and I understand the importance of keeping the weight down when traveling by bike. But for me, when it comes to my tires (the things that keep me going while I’m traveling by bike) I don’t want to mess around with patch jobs; Especially when I’m out in the middle of nowhere! I’d much rather throw in a new tube and not have to worry about whether or not my patch job is going to hold. The last thing I want to be worrying about when traveling on my bicycle is whether or not my tire is going to give out at any given moment. Like many aspects of bicycle touring, deciding how many spare tubes you bring with you on your tour is going to depend on where you are going, how long you will be out on the road, and how comfortable you are in your tube patching skills. I’ve shared my personal preferences in regards to how many spare tubes you should carry with you on a bicycle tour, so now I’d like to open this up to the readers. How many tubes do you think you should carry on a bicycle tour? Is three spare tubes too much? Is one spare tube too few? What do you think? Use the comment box below to share your thoughts. This entry was posted in Bicycle Touring Pro Articles, Featured How-To Articles, Main Articles, Planning and tagged bicycle tires, bicycle touring tubes, bicycle tube, bicycle tubes, extra bicycle tire, extra bicycle tube, how many tubes should I carry, spare tube, spare tubes. I’ve always carried 2 tubes and have never yet required a 3rd. Maybe it’s a ritual but I always check my bike and gear during a stop, anything amiss I adjust or fix it. Including tube repairs. While touring in the Canadian Rockies and after a rain had filled the very few potholes to overflowing I was having a Zen moment (not paying attention) and pinch flatted both tires (later learned I had also caused a flat spot on both rims! ), 2 tubes was enough to make it to the next stop. Once while commuting home from work I have had 2 flats due to Tribulus (puncture vine) and a 3rd tube could have been nice insurance but then again I haven’t made a single effort to protect my tubes against them. Either way 2 spare tubes ( will keep you rolling until the 3rd flat) had gotten me where I needed to be in a reasonable time frame. Had I had a 3rd flat while commuting I would probably have been late regardless of the number of tubes I carried. So I might as well spend abit of extra time to repair all 3 tubes and have a better “story” to tell. Granted, I’m a roadie but I’ve never had 3 flats between destinations. Regards, I enjoy the site, good luck to you on your trip. If you can’t patch a tube in 5 minutes, you should take a class or something to learn. It’s simple, and when done correctly, is 100% reliable. The trade-off of spending 5 minutes repairing a tube vs. carrying the extra weight is a no-brainer. If your commuting, or have some time constraints, replace the tube and repair it in the evening.